One of the most basic software design patterns is the singleton pattern and you'd think this wouldn't be one that would cause you problems but in C# it can be surprisingly difficult and I just spent a couple of hours trying to track down a bug because I hadn't implemented one properly. The place in question was using the first implementation and was being used from multiple threads that all started at the same time. This is the simple pattern and it almost always works except when you are doing the first access from multiple threads at the same time, but when it doesn't it can be a real hard bug to find. It should be pretty obvious that this class would have problems with concurrency so the simple solution is to just add a lock around the whole thing. This class is simple and does work, but getting the lock has a performance penalty which makes it useful to keep looking. This class is a little bit more complicated, but it has the advantage that except for the very first check there is no locking required. It does rely on the assignment of a reference to a variable being an atomic assignment, but this is fortunately a valid assumption. However, you can also use the C# runtime to help you create the singleton using a static constructor. This is pretty much as efficient as it gets, you even got rid of the check for null. And this is thread safe as well. 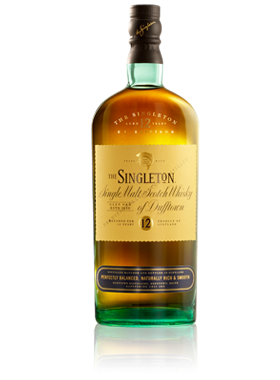 It does have the disadvantage of the instance of the singleton being created right before the first access of anything in the class, which might not be what you are looking for if there are more static methods in the class. The following class is based on the previous concept but does not create the singleton until the first time it is accessed. The nested class static constructor will not be called until you read the instance. If you are running C# 4.0 or later there is a helper class that makes this easy to do as well using a lambda expression. This method also allows you to check if you have instantiated the singleton or not (You can still do that with the first implementations, but it is not possible with any of the ones that using the static initializer). So which one should you chose. It might depend on different aspects, but if the only thing you care about is performance I made some relatively unscientific measuring and came up to the following list. The simple static initializer is the absolute fastest implementation. The nested static initializer is only slightly slower. The simple non thread safe solution is slightly slower. The double lock solution is only slightly slower than the the previous three. The lazy lambda expression solutioin takes roughly 50% longer to run than any of the previous solutions. The lock solution is roughly 150% slower than any of the first 4 solutions. That said even the slowest solution can still perform roughly 40 million accesses to the singleton per second from a single thread on my laptop so unless you access it a lot it really doesn't matter.